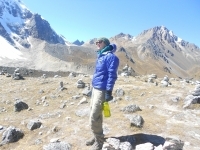 The salkantay trekking was a cool experience. The first days were a bit cold, especially the first night. But during the last days the weather was very good with a lot of sun. we did the 5d/4n tour. The firth day was easy but great to start the hiking. Indeed we all had other experiences in hiking, it was a good chance to get used to it. We booked the trip in advance on the Internet which was the right decision in order to do the trip at our preferred date.My conclusion: from A to Z a well balanced and organised trip! Our guide Carlitos is the best! 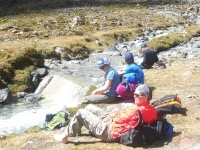 We had a great and challenging 4 day adventure on the trek with great weather and temperatures from freezing to boiling. I.e. 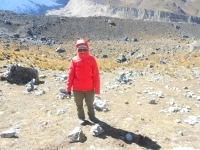 all clothing layers were needed :P.
Salkantay has been an amazing adventure.The scenary has been as ample as the swing of temperature. We did the 4 nights/3 days package, and it was wonderful! 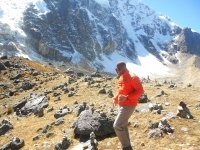 Our tour guide Carlos Perez was well-versed in Inca history, Andean geography, and the local vegetation. 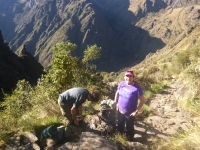 Highly recommend Inca Trails. 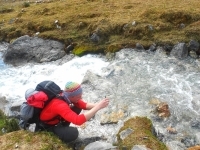 Outstanding views of the glaciers, mountains, jungle,waterfalls, and orchids. 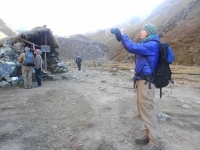 The guides were enthusiastic, excellent, experienced, & knowledgeable about the area and history. 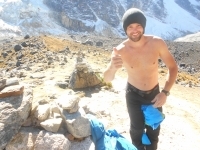 High times in the Andes! Lots of fun. The vistas were spectular, and our guide Carlos was great. He did a good job weaving in the local Andean narrative into his explanations of what we saw and experienced. 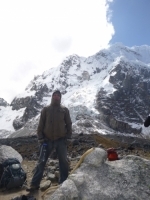 our Salkantay trip was amazing, the group was great and our guide was wonderful. 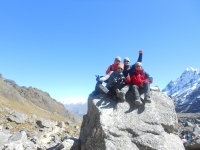 I am glad I joined this group for the trek. Will I do it again? Heck yeah!!! This has been one of the most adventures camping trekking trips I have ever been on. 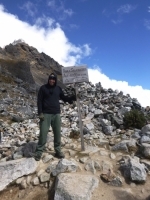 The Salkantay trek company took a lot of care to make this a very successful trek. 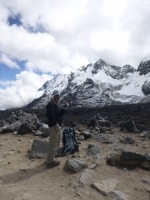 Our trek co-ordinator was very helful and helped us find flights and hotels. this was definitely the best backpacking trip I've ever been on.The diversity of the ecosystems was amazing, the group was great and gelled together almost instantly, and Juan Carlos was an excellent guide . What an unforgettable experience !! What an unforgettable experience !!! 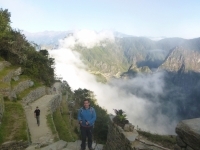 No one said the Inca Trail was easy, but parts of the last four days were harder than I could have imagined. Despite this and thanks to our guide Raúl and his team of fantastic porter, I have had an amazing time that I will take with me for the rest of my life. 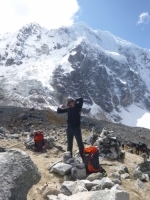 The Salkantay Trek was an excellent choice to hike to Machu Picchu¡ the trek is extremely well organized, from providing tents, mats, extra duffle bags, mules to carry a good amount of the load to amazing cooks who prepare scrumptious peruvian meals for breakfast, lunch and dinners. 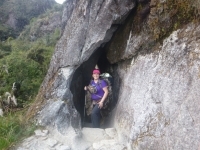 this was my second time in machupicchu but it was my first time during the Inka trail. My husband and I decided that instead of going to the beach and relaxing drinking piña coladas for our honeymoon, that we would do something not traditional.